The foundation of the Body by Vi™ 90 Day Challenge, and the centerpiece of each Challenge Kit, is Vi-Shape® Nutritional Shake Mix, a delicious shake that you can enjoy once a day to maintain healthy weight or twice a day to accelerate your weight loss or fitness results. A Body by Vi™ Shake for breakfast can help you maintain healthy blood sugar levels, curb appetite and get protein rich nutrition in a shake that can’t be beat. No other shake compares in quality of proteins, blend of proteins, comprehensive nutrition, key nutrients (including fiber, prebiotics and more) and taste! 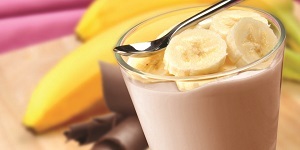 They are easy prepare – simply add Visalus shake mix to almond milk, skim milk or soy milk, mix and enjoy. Yes, it’s that easy! With a “sweet cream” base and an assortment of Health Flavor Mix-ins that let you add variety and health benefits, ViSalus™ Shakes can be anything you want, anytime of the day you want it. We even provide fast and fun recipes so you can try our favorites or create your own and share them with the ViSalus Community. To learn more about the benefits of ViSalus Body by Vi™ Shakes, please visit our Weight Loss page at ViSalus Body by Vi Weight Loss Shakes. Please feel free to call or text us at 615-828-4293 with any questions.